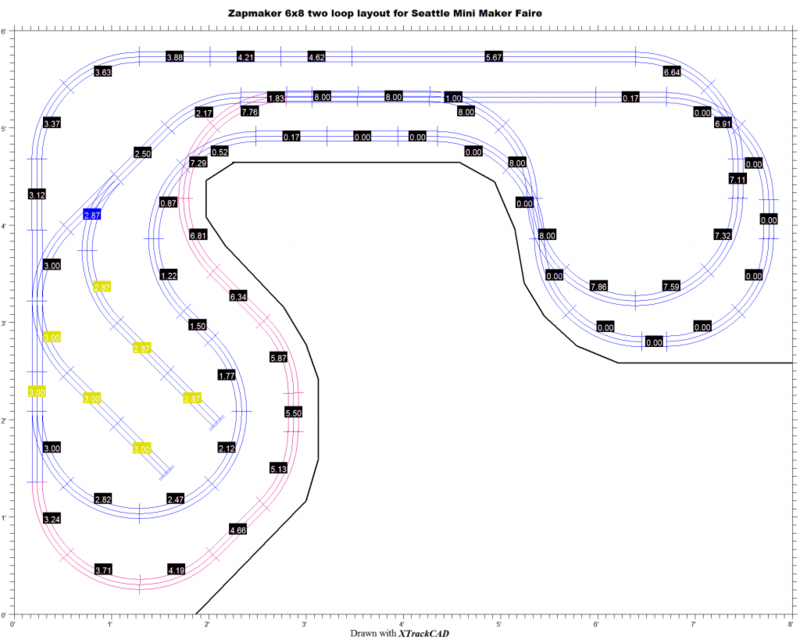 Here’s a rundown of the steps to build the track for the project I’m presenting at the 2014 Seattle Mini Maker Faire I’ve given myself a requirement that the track layout for the autonomous toy train be interesting but use as little space as possible in the 6′ x 8′ booth space. 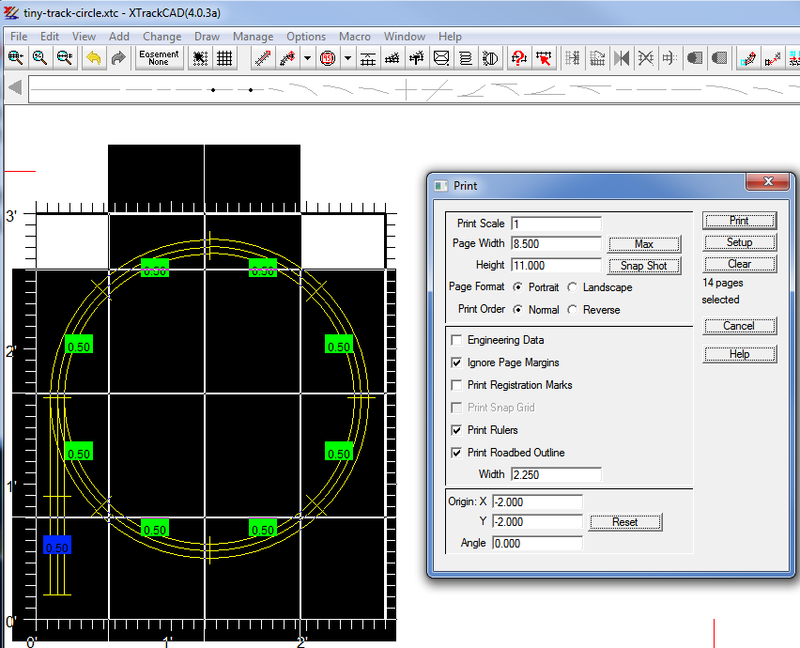 With that in mind, I’ve designed a track using the free XTrackCAD layout software. 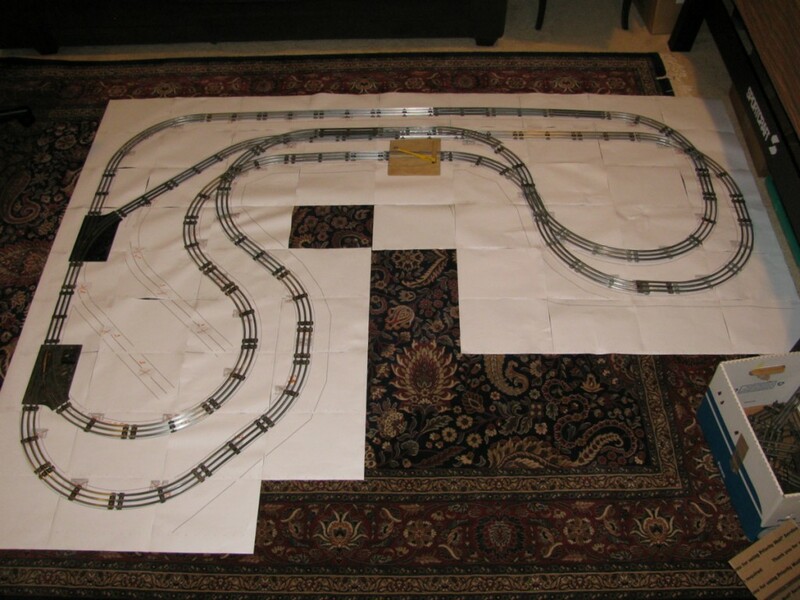 After a number of hours learning the tool, I’ve managed to layout a basic track. The numbers are track height above zero (or tabletop in my case). Some of the track will be elevated. The red track indicates a grade that exceeds (slightly) the maximum set grade of 5%. The two turnouts for parked trains on the left will not be in the final design – I included that in case I was able to obtain more switches. For now, only two switches. 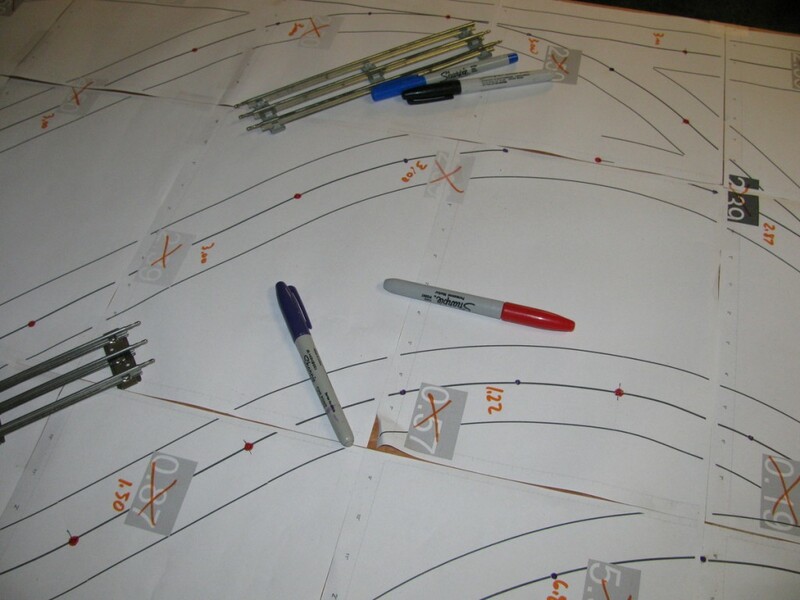 Before I printed this layout in full size, I ran some trials on a smaller layout so I understood the process. After two botched attempts I came up with these print settings. Then I printed the actual layout, about 60 pages worth. We taped the pages together into the actual layout. 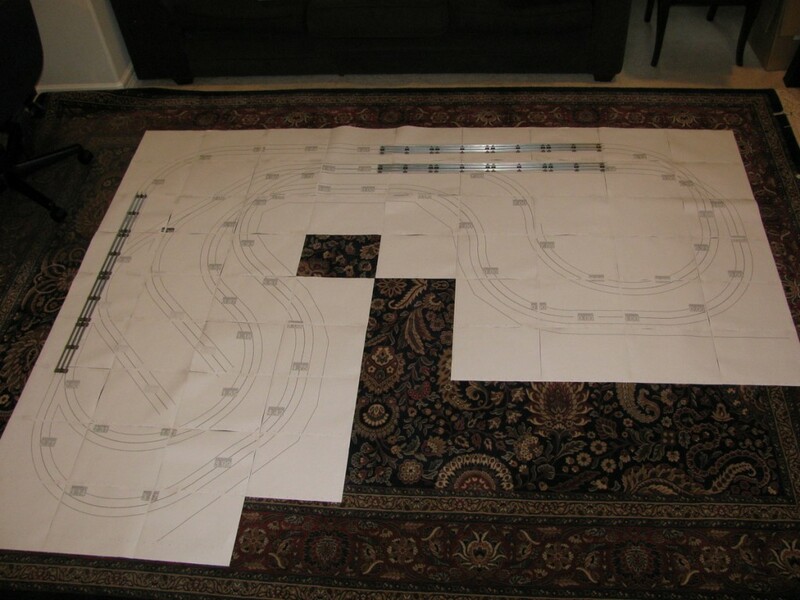 But I didn’t like the fact there was little room to check out the trains in the center area, and saw that I could widen it by adding some track, so I redesigned it a little and printed out the changed parts, which amounts to about eight pages taped over the original pages. Here it is with all real track overlaid. 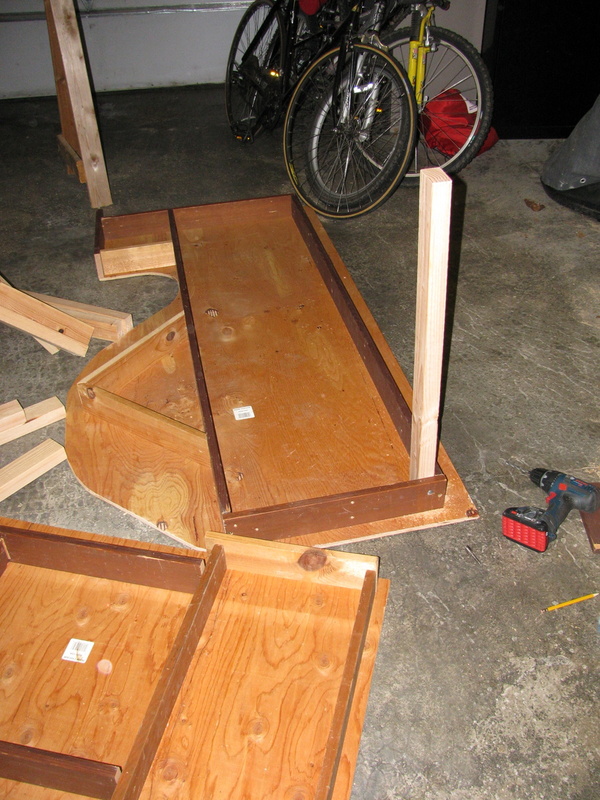 Then I added the support beams and legs. There are a total of 9 legs, each drilled individual to a corner, so each leg is numbered for later assembly (legs come off for transport). 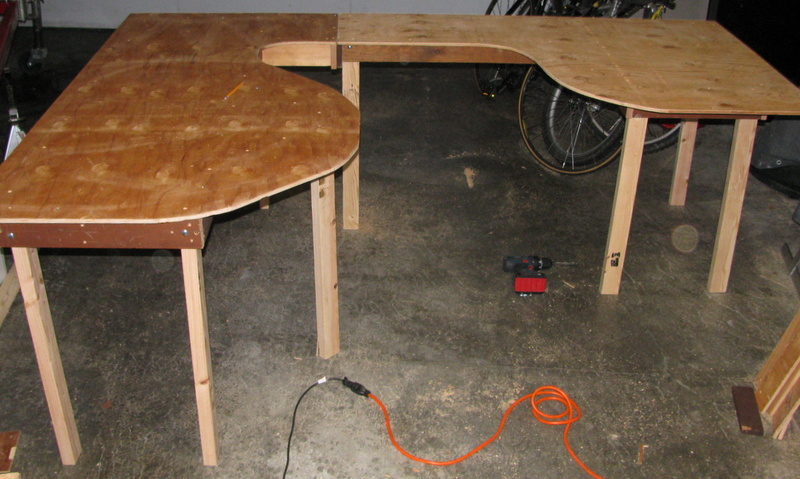 And here is the final product – two tables bolted together at the planned seam. 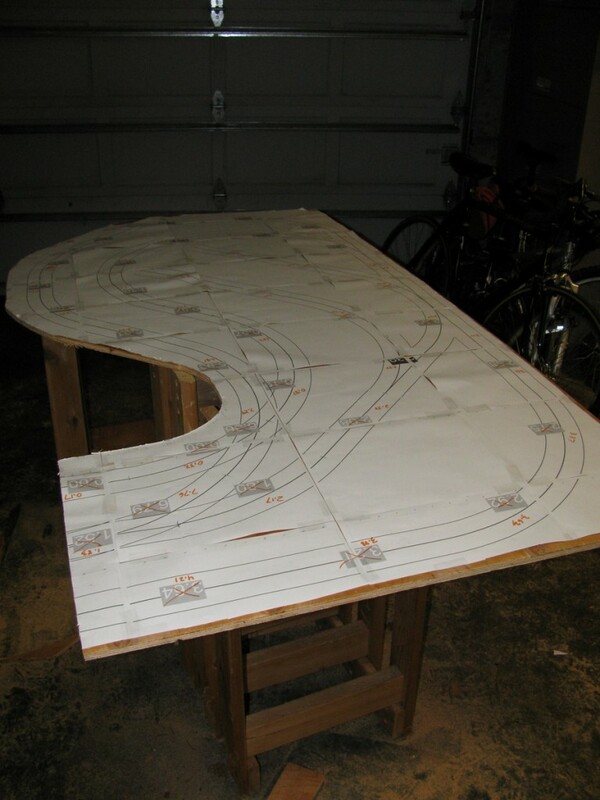 Eventually I will build the ramps for the track.